Mayor Jackson reflects on over four decades of public service, being the first woman on council and one of Delta's longest-serving mayors. Jul. 29, 2016 11:00 a.m. If Delta politics was a reality television show, Mayor Lois Jackson would be the ultimate survivor. Her dedication to the community is legendary, spanning five decades. Now in her last term as mayor, she has played an integral role in how the community has developed and changed. 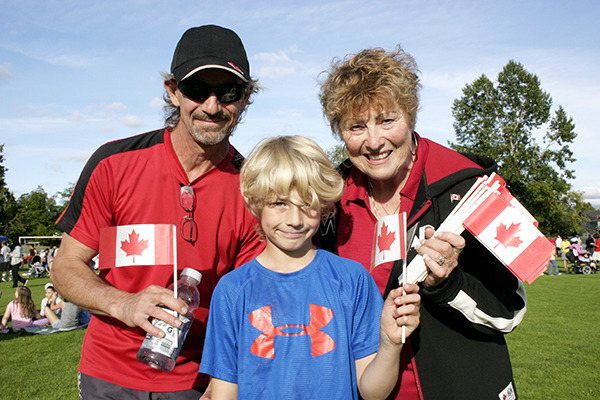 Nowhere is that more true than in North Delta, which she has proudly called home since 1969. Not only is she one of Delta’s longest-serving mayors (she will have served 19 years in the post when she steps aside in November, 2018), but she is the first woman ever elected to Delta council. She shrugs off that achievement, and says that even when she was first elected in 1971, it was no big deal to her. In her mind, there was nothing women could not do and she wasn’t prepared to accept a role assigned by others. She first ran for council because she felt North Delta needed a lot more attention. Local politics had traditionally been dominated by councillors from Ladner and Tsawwassen. 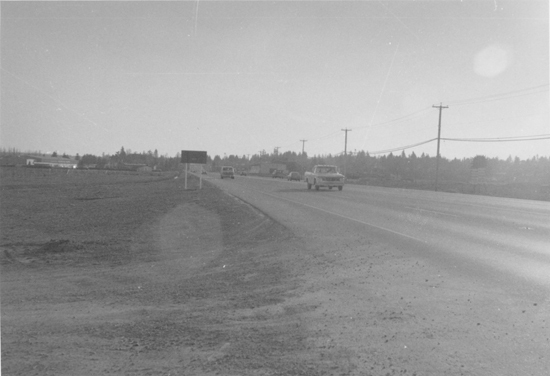 North Delta, although growing at a breakneck pace as a result of suburban development in the 1960s and 1970s, often got left behind when it came to needed municipal services. At the time, she had three young children, with the youngest in Grade 1. She wanted to see parks, schools and recreation facilities for the large population of young people in the community. “About 60 per cent of North Delta’s population at that time was under 18,” she said. Before running for office, Jackson became involved with North Delta Ratepayers, a community group that was concerned about the lack of schools, playing fields and other facilities in North Delta. Even in her first run for office, she showed a natural bent for how local politics – particularly in Delta – worked. Instead of running on her own, she teamed up and co-ordinated her campaign with Doug Massey, son of former MLA George Massey, and Lorne Carmichael, both from Ladner. They were well known in South Delta and that gave her credibility with voters there. All three were elected. Nonetheless, she was surprised to get elected on her first try, and she realized that she had a lot to learn. Nonetheless, she had trouble getting her motions seconded, so she soon learned another basic rule of local politics – the importance of working together with other council members. She sat next to Ernie Burnett, a longtime councillor who later served as mayor, and they became friendly. She would get him to introduce some of the motions she wanted to see discussed, and that meant they were seconded and opened the topic up for discussion. “I kind of fed him ideas. He had great respect within the community, and his motions got seconded,” she recalls. Jackson was part of the Tom Goode team when the former Liberal MP formed a slate. He ran for mayor and won, and Goode Team council candidates won a majority of seats in the 1973 election. She says Goode was one of the most visionary mayors she ever worked with. Jackson stepped aside from politics for a while in the late 1970s and early 1980s, due to marriage and family stresses. She worked for a while as a realtor, at a time when interest rates were in the 20 per cent range and banks were taking over homes when the owners couldn’t make payments. It wasn’t easy. She also worked at Pacific Vocational Institute (now part of BCIT) running a student residence. She got back into Delta politics in the mid-1980s, again running as part of a team, with political newcomers John Savage and Shell Busey. Both were very well known – Savage, an active farmer from a longtime Delta farming family, and Busey as a North Delta building supply store owner and promoter. The three easily won their seats and changed the dynamic on council. A longtime right-left split between civic slates Delta Voters Association and Citadel was now upset by three councillors unaffiliated with either side. Savage went on to become a Delta Social Credit MLA and minister of agriculture in the Bill Vander Zalm government, while Busey went on to become a well-known radio host. Jackson ran for mayor in 1999, again as part of a team. She decided to run for the top position on council because she was very concerned about the state of North Delta. One of her running mates was Guy Gentner, who later went on to become NDP MLA for Delta North. Her message resonated with voters, and she was elected to fill the seat vacated by Mayor Beth Johnson. After being elected, she worked with the police, the school district and council to develop a plan to close down drug houses. One of her proudest achievements over the years has been to get council and the administration to realize that North Delta, as the community with the largest population, deserved to get more than one-third of the total tax revenue spent there. 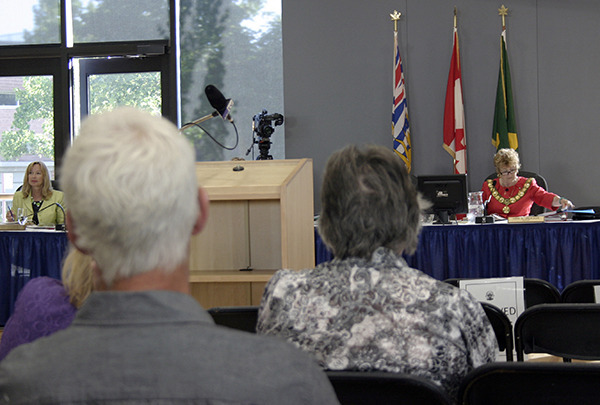 There had long been a general consensus that revenue would be spent roughly one-third in Ladner, one-third in Tsawwassen and one-third in North Delta. She is also proud that successive councils have spent a lot of money on irrigation and drainage projects to help make the best use of Delta’s rich farmlands. She says council has been focused on making Delta one of B.C.’s most productive agricultural areas and the recently-approved plan for the Spetifore property in Boundary Bay, the subject of political controversy and upheaval for more than 30 years, recognizes the importance of the preserving the best agricultural land on the property while providing smaller parcels so that first-time farmers can get into the business. She also points out that she made a commitment that every question asked at the lengthy public hearing on the redevelopment of the Spetifore property was answered by staff the next day, so that all information was made available to the public. Asked what she rates as her proudest achievement, she quickly replies “buying Burns Bog.” That was a lengthy and delicate political operation, involving private property owners and four levels of government. It was supported from the beginning by the federal Liberal government, and she gives credit to then-Environment Minister David Anderson for safeguarding federal funds dedicated for the property purchase as the negotiations dragged on. The provincial government under then-Premier Gordon Campbell also helped pay for it – but at the last minute (“at five to 12,” Jackson says). It served notice that it wanted property transfer tax paid, which meant that a slightly smaller parcel than originally planned was bought. Since that time, Delta and Metro Vancouver, which now have responsibility for most of the land, have bought parcels around the bog perimeter and the part held for the public is larger than ever. About 1,000 acres were added since the initial purchase. Jackson is also proud of how North Delta has developed, and of the many municipal facilities in the community. The most recent one is the addition to the North Delta Recreation Centre complex on 84 Avenue, opened in February. Her hopes for North Delta in the future: “I hope it continues to be a neighbourly area, a family area. I’d like it to keep being a place where you can walk down the street with your dog and bump into neighbours at the park. I hope it does not become so urbanized that you don’t know your neighbours. She has high praise for Delta Police, Delta fire department and all other Delta municipal staff. She praises the effort undertaken by the fire and police departments to deal with the recent Burns Bog fire, which could have had devastating consequences on nearby Tilbury industrial park. She likes how Delta Police run an academy program for high school students, which has led to career opportunities for some of them in the police department. She credits the police’s local approach to criminal activity and depth of knowledge of the community for keeping Delta safe. Perhaps the greatest tribute paid to Jackson by the community she has served for so many years came on nomination day in 2014. She told voters that she was running for her last term. Recent elections have been hard-fought three-way, or even four-way, races for mayor. When the nominations closed on that Friday afternoon, she was the only candidate nominated. 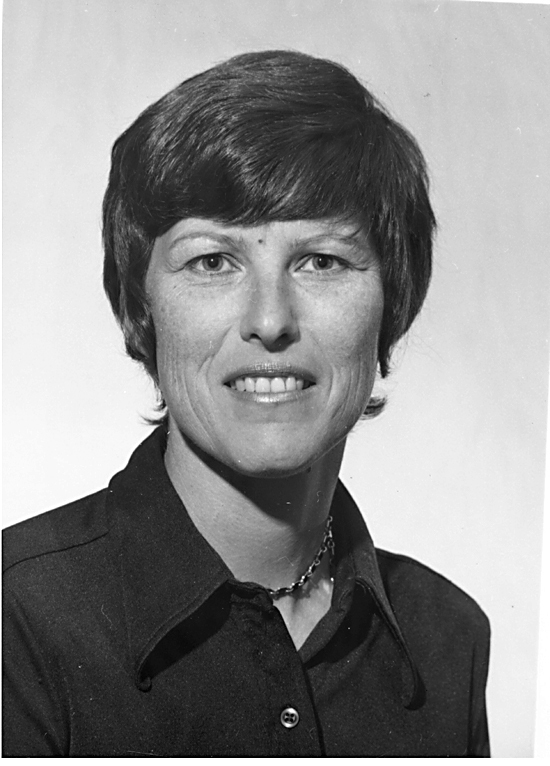 She won her sixth term as mayor by acclamation – a rarity in municipal politics and almost unique in larger Lower Mainland municipalities. She’s the people’s mayor – something even her political opponents were willing to acknowledge in 2014.